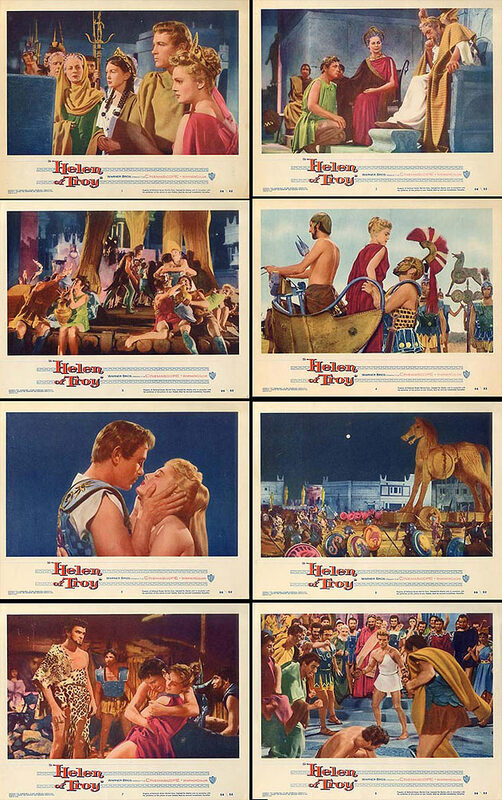 US lobby cards set for HELEN OF TROY. Very good set. The top two cards are boring but they showcase the cast. Close-ups of the two main stars and a card with the wooden horse. It could have used one scene with the big battle but it's an above average set. Marvellous. I love this one.